The forests along the Great Ocean Road in Victoria are spectacular. They are filled with stunning waterfalls and are just set back from a stunning coastline. 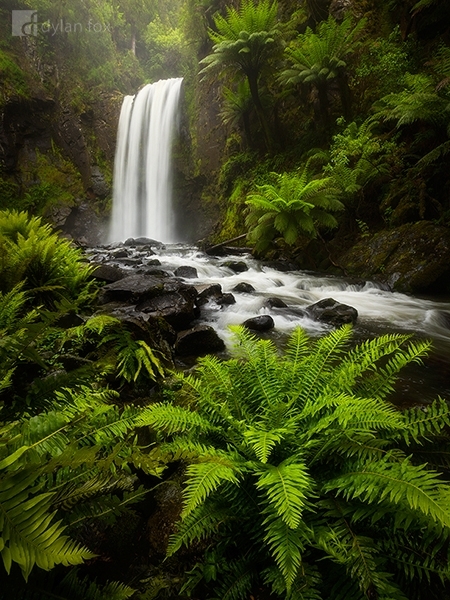 This Hopetoun Falls photograph was captured in ideal conditions. It was raining with just enough short breaks to get my camera gear out and capture a shot. The rain really brings the colours to life even if it is difficult to shoot in. I was truly blown away by the beautiful forests in this part of Australia and cannot wait to return there again one day! Secure your limited edition, Hopetoun Falls photographic print, 'Immerse Yourself', by selecting your desired print size in the menu to the right.